Who can resist a novel with a title like The Murderer’s Daughter? 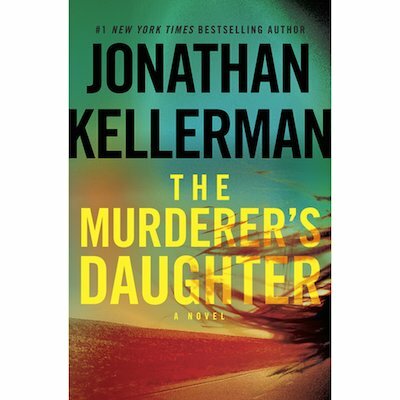 Jonathan Kellerman’s newest release, The Murderer’s Daughter tells the story of survivor Grace. Grace grew up brilliant but fearful, passed from abusive (murderously so, hence the title) family to stereotypically unstable foster homes. Now, a sought after therapist, considered a “victim whisperer” by those who need just such a soothsayer most, Grace’s dark childhood has caught up with her. A mysterious man seeks a session with her, intrigued by a little-known paper she wrote on families of criminals. Is he related to an offender himself? Does he look familiar? Before Grace can find answers to any of these questions, the man loses his nerve and stumbles out of the session. Out of the session and right back into the grips of whatever violent element haunted his life. There was a lot to love about The Murderer’s Daughter, and a lot I just wasn’t feeling. I appreciated Grace as a brilliant, independent, and manipulative woman, and the story of her upbringing interweaved with modern day was as intriguing as the mystery itself. As for the mystery, much of Grace’s investigation was done on the internet–while this may be realistic, it isn’t exactly the most thrilling way to reveal information to a reader. In the age of Dexter, books with a bad seed turned to justice are all the rage: Chelsea Cain’s One Kick is my favorite thus far. If you love the vigilante justice of Dexter and the heady analysis of psychological thrillers, check out The Murderer’s Daughter.